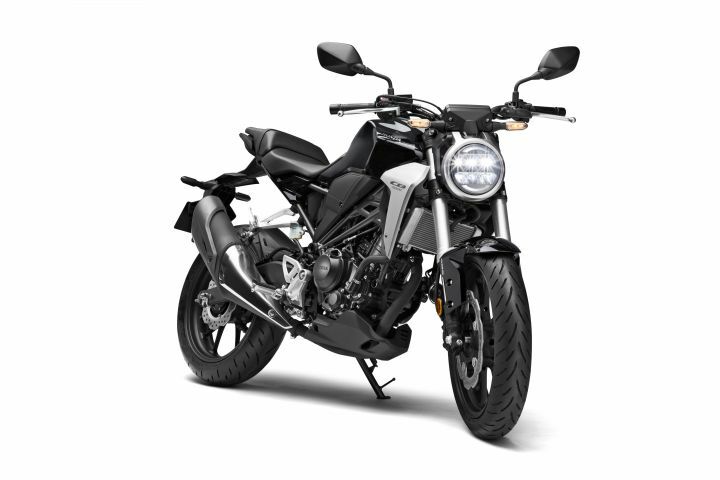 Top 5 Motorcycle News Of The Week: Honda CB300R Launched, Yamaha MT-15 Set To Arrive On March 15, 2019 Bajaj Dominar 400 Unofficial Bookings & and more! Honda has finally taken a bold step by launching the all-new CB300R in India. Yamaha, on the other hand, will soon be launching their own sports naked which will go toe-to-toe with the entry-level KTM 125 Duke. Also, manufacturers have started equipping their scooters with CBS prior to the government implementing new safety regulations. While there were a number of such events in the past week, we’ve picked out the top five two-wheeler news that’ll surely grab eyeballs. Here it goes. Honda re-enters the entry-level performance segment with the CB300R. Positioned above the CBR250R, the bike follows the company’s “Neo Sports Cafe” design language and gets a bunch of features like LED lighting, an all-digital instrument console, USD forks, and much more. Additionally, with a price tag of Rs 2.41 lakh (ex-showroom), it undercuts its competition like the KTM 390 Duke and the BMW G 310 R. Head here for more information about Honda’s new entrant. Sources close to the Japanese bike manufacturer have confirmed that the MT-15 will arrive in India on March 15. Reportedly, the company will organise its launch event at the Buddh International Circuit in Greater Noida, which will be followed by media rides. The India-spec version features a conventional telescopic fork and a box-type swingarm instead of USD forks and a cast aluminium swingarm seen on the international-spec version. For more information, click here. Select Bajaj Dealerships across Pune have unofficially started accepting bookings for the 2019 Dominar 400 for a nominal amount of Rs 1,000. Expect deliveries to commence by the end of this month The updated model features a revised layout for its dual instrument consoles, USD forks from Endurance, redesigned rear view mirrors, and more. For the complete lowdown, click here. Suzuki has equipped its best-selling 125cc scooter, the Access with CBS for a premium of just Rs 690. Both the standard and disc variant now get the safety net. The move comes in the light of the government safety regulations that’ll come into force from April 1. New norms dictate that all two-wheeler below 125cc must come factory-fitted with either CBS (Combined Braking System) or ABS (Anti-lock Braking System). Additionally, Suzuki will continue selling the non-CBS variant until stocks last, post which the variant will be discontinued. Click here for more details. The Bajaj 180F has been spotted in dealerships. It’s essentially a Pulsar 180 with a front fairing borrowed from the the much-loved Pulsar 220. Priced at Rs 86,600, the bike commands a premium of only Rs 1,000 over the standard model. If you’re keen on getting your hands on one, you could book the bike for a token amount of Rs 1,000 at your nearest Bajaj dealership. For more details, click here.